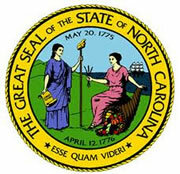 The North Carolina Post-Release Supervision and Parole Commission is an independent agency that is responsible for releasing offenders who meet eligibility requirements established in North Carolina General Statutes. In 1994, the N.C. General Assembly enacted Structured Sentencing, which eliminates parole. However, the Commission establishes conditions of post-release supervision for felons convicted under the Structured Sentencing Act. The Commission does not hold formal hearings and does not meet personally with offenders when reviewing cases for possible parole. Each case is reviewed on an individual basis since each has its own characteristics. The four members of the Commission are appointed by the Governor, who also selects one commissioner to serve as chairman. The majority of the Commission must agree to deny or approve parole for all eligible offenders. The mission of the Post-Release Supervision and Parole Commission is to protect the safety and welfare of the state's citizens. In cases where the Commission has discretionary release authority, this mission is accomplished through thorough analyses to determine when and under what circumstances it is in society's best interests to allow an offender to be released from prison and serve a portion of the sentence under supervision in the community. In cases where the Commission does not have discretionary release authority, this mission is accomplished through establishing conditions of supervision and an aftercare program that will enhance the probability that the offender will be successfully reintegrated back into the community. To participate in identifying prison programs that will prepare the offender to re-enter society through a well-planned aftercare program. To establish conditions of supervision that provide control and rehabilitation by utilizing agency and community resources as a bridge to help the offender reach self-sufficiency and law-abiding citizenship. To monitor offenders' compliance with supervision and to take appropriate action such as modification of conditions or revocation when warranted. To protect victims' rights by providing accurate information, timely notification and encouraging input for the Commission's consideration.